Since the turn of the millennium, the city of Bangalore (officially Bengaluru) has experimented with a series of neoliberal, market-oriented reforms to overhaul its urban services. The city’s water, in particular, long considered a service that must be subsidized by the state, has been targeted under interventions that seek to commercialize and privatize delivery. 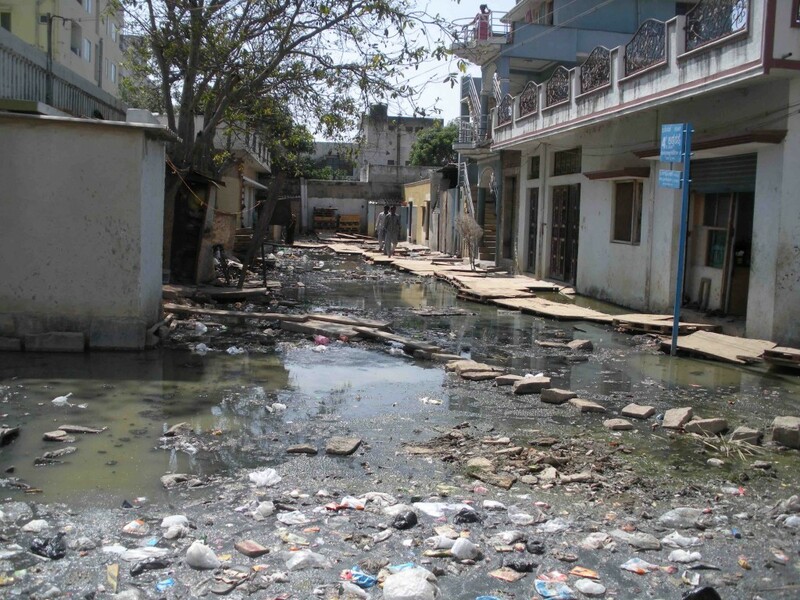 Supported by international development actors and administered by state-level experts, these policy changes have focused on the city’s outskirts, where rapid growth since India’s liberalization has exacerbated differentiated patterns of land tenure and water access. Analysis of why certain policies are ascendant today, how programs of reform are conceived of and by whom, and to what ends they proceed in this landscape is essential to an understanding of metropolitan change in the global South more generally. I find that lower middle class urban residents with tenuous property rights, pictured in the image above, what I refer to as the “peripheralized middle class”, pay for water hook-ups as a way to establish claim to their land. In an era of exclusionary urban planning in which land is increasingly privatized and monetized, paying for water hook-ups is one of the few ways marginalized groups have left to fight for a foothold in the city. In so doing, informal residents legitimate the very policies and paradigms that are responsible for their precarious existence. 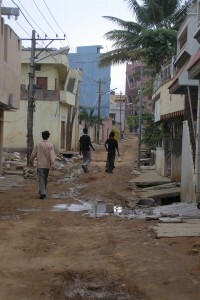 Beyond this project, I am interested more fundamentally in explaining urban informality beyond the “slum” As the world urbanizes, housing and services are being developed via improvisation—often in negotiation with official planning norms and through political party networks—across the class spectrum. Informality matters because it is the norm in the South, as I argued in my 2014 TEDx talk. My work confirms and expands on arguments that show that informality is a form of flexible state power rather than a specific outcome. For instance, I show that water mafias serve as “informal sovereigns”—brokers characteristic of postcolonial and postsocialist polities who blur the borders and between state and society and between public and private in order to garner electoral votes, facilitate illicit land sales, and provide municipal services. Separating out formal and informal “sectors”, as is the norm in water policy rhetoric, makes little sense when held against actual democratic practice. A second cluster is concerned with the politics and history of urban flooding. There are two kinds of water, the cliché goes: too little and too much. Cities around the world are flooding more frequently as a result of land use changes, infrastructural c hallenges, and extreme weather events. Bangalore is no exception. My fieldwork here reveals that the very same groups deprived of water access and secure land tenure are exposed to flood disasters—and also get blamed for them—compelling me to study the causes and implications of unequal flood risk. I show that Bangalore’s wetlands and lakes or its “keres” have become prime sites for accumulation and development–fueling heightened flood risk over the last decade. It is not simply that wetlands provide a source of cheap, available land, but specifically that they afford a highly tangible circuit for capital flow and fixity, suggesting that scholars need to think carefully about capitalism’s material geographies. A third cluster extends my theorizing on informality to urban “land grabs”—the morally contentious, large-scale acquisition of land (often held by the state or in common) for commercial purposes. From protests in Istanbul in 2013 against the anti-democratic redevelopment of Gezi Park into a luxury mall, to accusations that the Modi government’s 2015 land acquisition bill fast-tracks corporate land acquisitions in India, there is no end to the malaise surrounding land-based “corruption” in global cities. In collaboration with University of Arizona Assistant Professor Sapana Doshi, my research in this cluster investigates the political and policy processes underlying urban land grabs and analyzes why and for whom corruption talk has emerged as a powerful normative framework. We start by suggesting that mainstream analyses of corruption, traditionally focused on rooting out public sector graft in the Third World and liberalizing the economy, are insufficient for theorizing land-based corruption in the post-colony because they treat corruption as: (a) a given rather than posing it as an ethnographic question, (b) inherent to Third World dysfunction rather than questioning the historic origins of corruption, and (c) individual acts of wrongdoing rather than tracing the networks of state and private power involved, particularly when it comes to land. We posit that critical geography, drawing significantly from cultural anthropology, provides the necessary tools to theorize the political economy and history of land, as well as the ways in which urban informality becomes reinterpreted as “corruption”. This project is a complement to my previous research critiquing the donor-driven anti-corruption agenda and, specifically, the alleged role of digital technology in improving the responsiveness and accountability of government. In these prior publications, I show that technologies designed to digitize citizen complaints (“e-grievance redressal”), a popular “good governance” tool, systematically bias against collective in-person complaints lodged by lower class and lower-caste women. Finally, I am interested in race, place, and environmental justice in the US. I co-wrote a scholarly article calling for “transnational learning” between California’s Central Valley and Bangalore’s urban fringes. Following the call in the critical social sciences for thinking “from” the South (and not just “about” the South), we find that informality is very much present in Central California’s poorer, Latino urban fringes, but is rarely grasped as such. On this basis, we contend that rethinking how minority farm laborers in poorer urban fringes engage the state for basic services through insights from political practices in the South decolonizes academic inquiry and reveals novel possibilities for policy change. In a research grant from AU’s Metropolitan Policy Center, Eve Bratman and I studied: (a) what makes certain groups in DC vulnerable to environmental change and (b) how organizing around housing and displacement by minorities can be leveraged for building “resilience” to climate change in the fullest sense of the word. 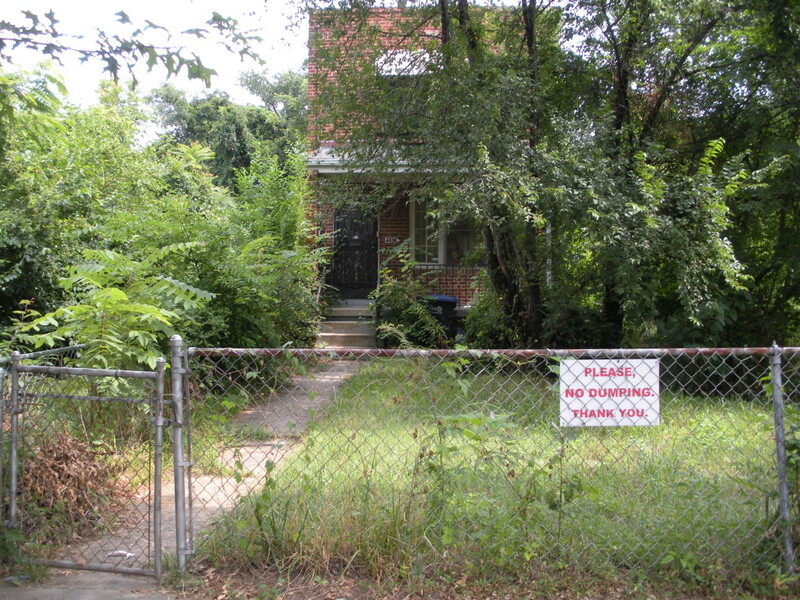 Preliminary findings establish that the environmental injustices (proximity to toxic wastes, illegal dumping, public transport idling) suffered by African Americans in the District—owing to a legacy of institutionalized discrimination and racial-spatial segregation—are deeply consequential for climate vulnerability. For instance, there is a long history of environmental injustice in the Kenilworth/Parkside/Eastland Gardens area of Ward 7. Residents report toxic wastes in the soil near the community rec center due to an old (now shut down) waste incinerator, placed there in the post-war period when it was already clear that the area was predominantly African American. The area also has a history of flooding, including sewage overflow in the now-closed elementary school (Thomas Elementary). A third problem is illegal dumping as seen by the plea in this photo. 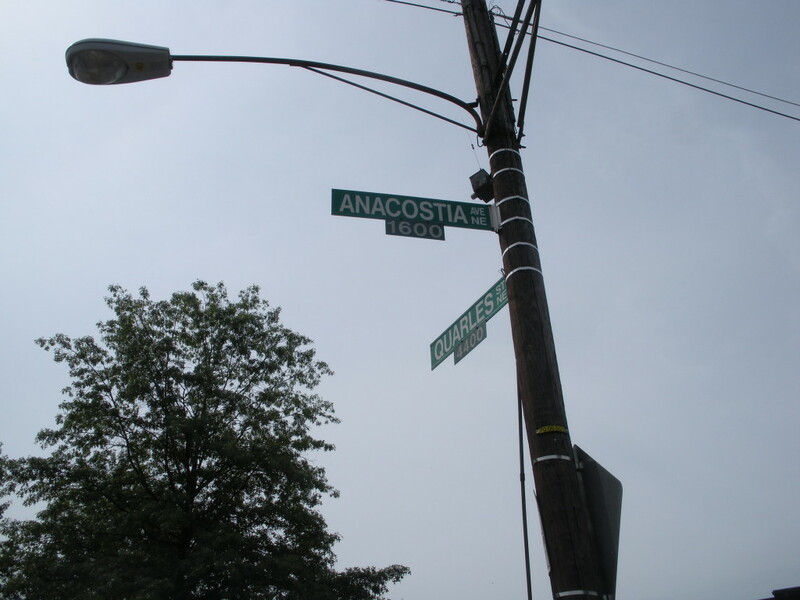 Our research on the place-based and historically rooted vulnerabilities of particular neighborhoods (Ward 6 near the Southwest waterfront and Ward 7 in the NE Anacostia area) will provide needed texture to macro assessments of DC’s climate risk. To learn more, please visit the evolving project website.